Agents Of S.H.I.E.L.D. : How Did Earth Get Destroyed? Agents of S.H.I.E.L.D. pulled a huge twist in its season 4 finale by revealing that the show would be upping sticks and heading to space for its next outing, but the premiere episode of season 5 had even more surprises in store. Not only have Coulson and co. been spirited away to a space station outpost, but the gang have been transported far into the future thanks to a Kree Monolith. Oh, and in the future, Earth has been blown to bits. Indeed, shortly after discovering that the Monolith had not just thrown them through space but also through time, the S.H.I.E.L.D. team realized that the outpost they found themselves on was parked right next to a decimated planet Earth. It was then explained that in the wake of the planet's destruction, the Kree had swooped in to act as saviors to the remaining humans and were currently in control of the outpost. Somewhat less clear is exactly how the Earth ended up in such a state. Although the S.H.I.E.L.D. crew themselves are desperate to know the fate of their home planet, the introductory duo of episodes that form the season 5 premiere only included a couple of hints and teases to account for why the Earth is no more and the dregs of mankind are under the dictatorship rule of the Kree. The first explanation viewers get as to how the Earth was destroyed comes from a new character, Tess, who reveals that after rocking up to the save the day, the Kree destroyed records of human history including digital files and books in order to help mankind "focus" on their current predicament and fragile future. As a result, there is no official consensus among the remaining descendants of planet Earth as to how their home world was destroyed. All Tess knows is that the planet was "torn apart" by a "cataclysmic event." Thanks, Sherlock. The residents of the Lighthouse space station have been forced to piece together what little they know about Earth to make educated guesses about their history - thus why Tess believes a "Sharknado" to be a real occurrence - and the survivors reportedly have a vast number of theories as to how the Earth was destroyed, none of which are treated with any credence. However, while Tess' knowledge may be spectacularly unhelpful, her friend Deke seems to have a far better grasp of the situation. Deke apparently has a talent for computer programming and managed to access information about Earth that the general population could not and he used these tools to create a new version of the Framework for the space station's residents to visit as a recreational retreat. While creating his Framework version of Earth, Deke claims that he pieced enough history together to suggest that the planet was decimated by none other than Daisy "Quake" Johnson. He goes on to imply that this came about as a result of S.H.I.E.L.D. trying to save the world. 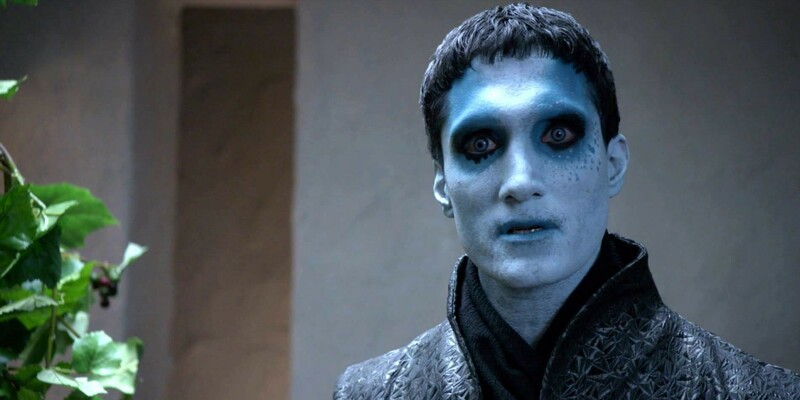 That one of the leading protagonists in Agents of S.H.I.E.L.D. would cause the Earth's destruction is quite an extraordinary claim and undoubtedly, there is more to the situation than meets the eye. Daisy's control of her Inhuman abilities is exceptional at this point and so the chances of her destroying Earth after simply losing control are decidedly slim. Perhaps some extenuating circumstances meant that destroying the planet was the only way of preventing an even worse event and, somehow, Daisy really was acting to save lives. It's also possible that Daisy was somehow under the control of a currently unrevealed villain who forced her to quake the world into oblivion. 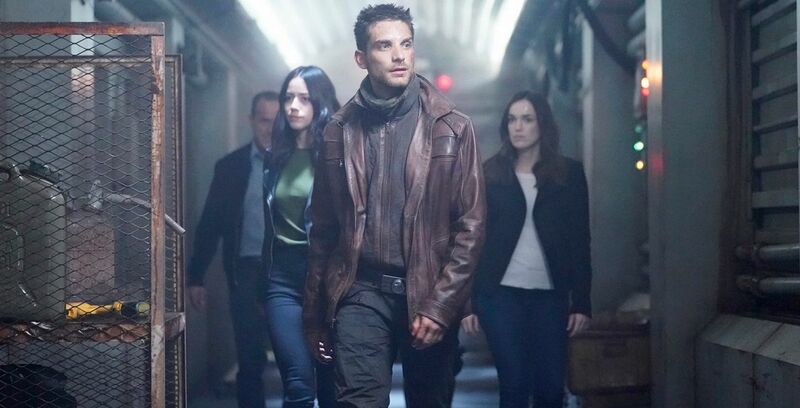 Of course, despite Deke's insider knowledge, he's still just guessing as to the real cause of the Earth's destruction and Inhumans have a history of being used as scape goats for crimes they played no part in. Agents of S.H.I.E.L.D. season 5 has already demonstrated how far the Kree are going to oppress and manipulate their human captors, particularly in their removal of human history, and since the Kree have benefited most from Earth's destruction, it's perhaps natural to assume they had a sizeable hand in it, with Daisy merely shouldering the blame. Another reason the Kree might want to frame Daisy for Earth's destruction is to counter the stories that the humans on the Lighthouse have heard about S.H.I.E.L.D. coming to save them. 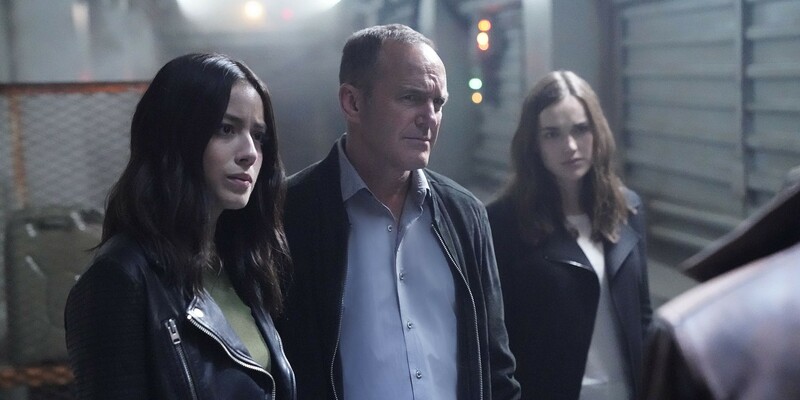 Although many on the station (aside from the late Virgil) now dismiss the tales as pure fiction, Tess explains that some years ago, many people believed that a group of Agents from an organization known as S.H.I.E.L.D. would travel forward in time to set things right. Naturally, the Kree would want to stamp this ray of hope out and placing the blame for Earth's destruction on one of S.H.I.E.L.D. would no doubt quell any faith in this mythical band of heroes. Having said that, if the Kree did place the blame on Daisy, it's perhaps curious that they aren't more vocal about the suggestion, with only Deke being aware of her supposed role in the event. It certainly seems like the ideal excuse for some pro-Blue propaganda. This would perhaps suggest then, that the Kree are unaware of - or at least unconcerned about - any involvement Daisy may have had in the Earth's destruction. It might be too early to tell whether Daisy is an innocent scape goat, whether she destroyed Earth trying to protect the universe from a greater threat or whether she just got incredibly angry after being "Blue-Shelled" on a final lap of Mario Kart. Deke might have even got the wrong end of the stick entirely and mistaken S.H.I.E.L.D. 's attempts to prevent the Earth's demise for them causing it. But some reasonably safe conclusions can be drawn after the opening salvo of episodes; there is more to the Earth's current plight than Daisy simply losing control of her Quake powers and somewhere along the line, the Kree are bound to have been involved. Their heroic arrival to "save" the remaining survivors of Earth is far too convenient for them not to be. Agents of S.H.I.E.L.D. continues December 8th on ABC.